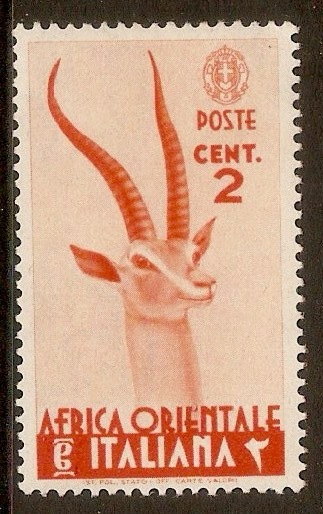 Italian East Africa 1938 2c Orange-vermilion. SG1. 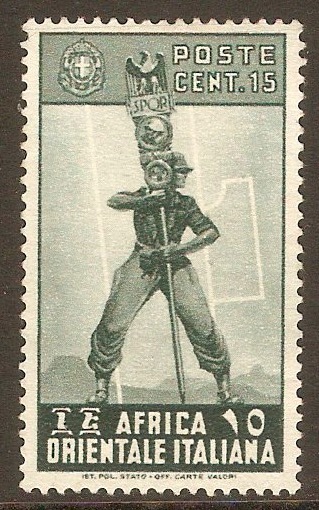 Mounted mint 1938 2c Orange-vermilion. SG1. 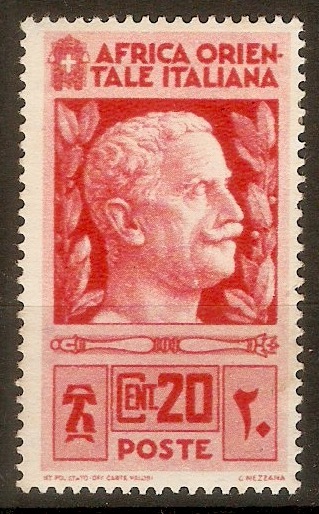 Used 1938 2c Orange-vermilion. SG1. 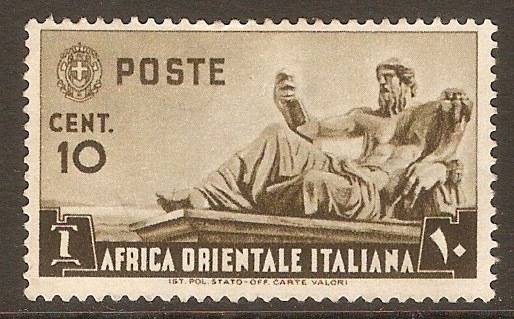 Italian East Africa 1938 10c Brown. SG4. Unused 1938 10c Brown. SG4. No gum. Mounted mint 1938 10c Brown. SG4. 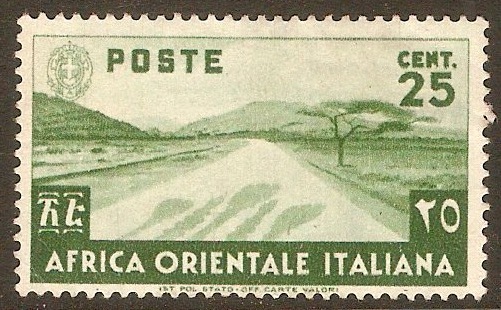 Italian East Africa 1938 15c Blue-green. SG5. Unused 1938 15c Blue-green. SG5. No gum. Mounted mint 1938 15c Blue-green. SG5. 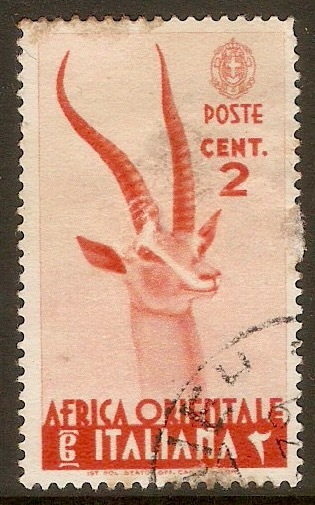 Italian East Africa 1938 20c Scarlet. SG6. Heavy mounted mint 1938 20c Scarlet. SG6. Italian East Africa 1938 25c Green. SG7. Unused 1938 25c Green. SG7. 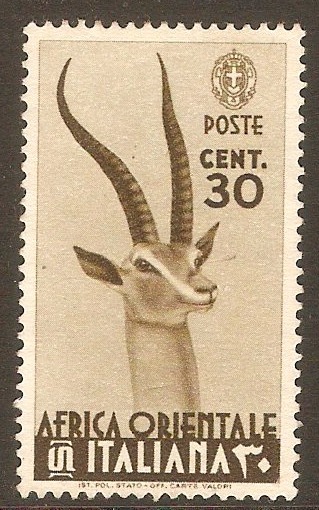 Italian East Africa 1938 30c Brown. SG8. Unused 1938 30c Brown. SG8. 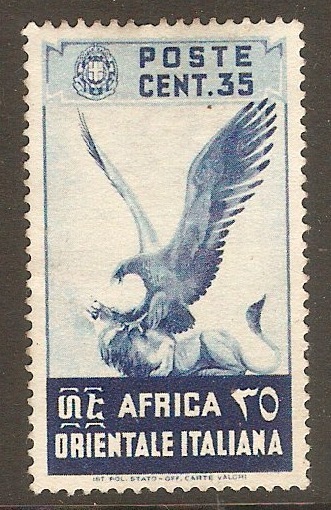 Italian East Africa 1938 35c Blue. SG9. Unused 1938 35c Blue. SG9. No gum.